How can it be that guy we were celebrating as a hero on Monday could so soon fall from grace? 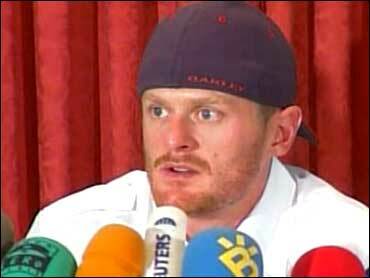 Floyd Landis tested positive for high testosterone levels during his triumphant performance at the Tour de France, and Landis is begging that we not rush to judgment. Says Landis, "I'm innocent until proven guilty." But the court of public opinion has started to vote, and if the back page of the New York Daily News is any judge, the headline, "What a Dope," says plenty. I spoke with Steve Madden today, the editor of 'Bicycling' magazine. Madden is a Landis fan. Thinks he's a terrific guy, and is feeling let down. He told me of an editorial he'd been working on for the magazine, a letter to his son telling of the lessons Floyd Landis taught everyone — when so far behind the leader in the tour, he defied the experts and shocked the sports world by coming back to win. Now that brilliant yellow jersey is stained by doubt.